Thimbelina: I just love these! 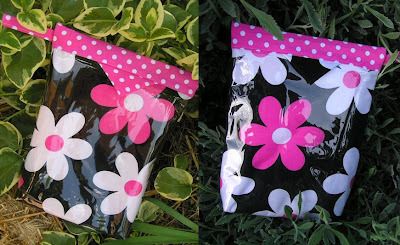 Since the book pouch I made Miss 11 was such a hit, I just had to make a couple more! This is what I was working on last Wednesday as well as some more secret stitching. I've now almost got my F.R.I.E.N.D.S swap ready to send off.... so will be able to post some piccy's of that soon too! One of these has already been delivered to another young reader I know who just loves books.... 13yo Georgina travels an hour each way on the school bus and spends most of this time reading so I couldn't help making one for her just because! Who doesn't love "just because" pressies?? I used the "Snap Happy" pattern again by Stitchin' Sisters and Michael Miller fabrics and the only difference between the two is the the colour of the little pull tabs on the sides.